People nowadays tend to look for the best deal... for discounts... and for ways by which they can spend their money in a most cost effective way. That is why, we congratulate websites like WinilaCity.com which provides consumers with a chance to maximize the value of their money specially in an economy which tends to be fragile. 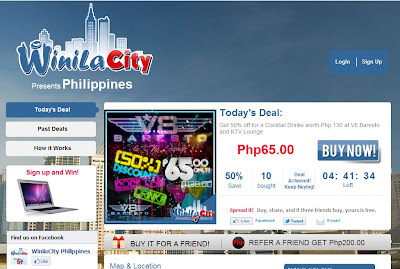 Through WinilaCity.com you can search for discount coupons and buy them at a cheaper prize. For example a dining experience worth P5,000 could be yours for only half that price. A spa treatment which you are wanting to have but can't afford might cost just 50% through WinilaCity. 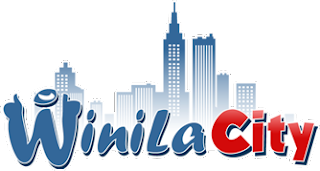 WinilaCity.com is actually an offshoot and partner site of www.winila.com which was introduced in 2010. Seeing the success of an online auction where users bid bid for items and gain huge savings for the latest gadgets, games and lifestyle products, they launched WInilaCity.com. The website offers gift certificates for local retailers which can be purchased at a price that is very affordable. WInilaCity.com complement Winila's online auctions with gift certificates from various establishments which includes food, clothing, medical, and more. The site is launched last March 2011. The best thing however is not only the fact that you can save money through their deals but IF YOU REGISTER NOW, YOU WILL HAVE A CHANCE TO WIN A MACKBOOK PRO. Yes, WinilaCity.com will be giving away premium items just by REGISTERING at their website. They also announced that they might be giving away free Apple iPhone4 and iPad 2 in the coming months. Through various sites WinilaCity.com is also sharing their consumer service by helping bloggers with their promotions. One site which had benefited from this is The News Around Us where readers will have a chance to EARN A FREE P1,000 GIFT CERTIFICATE FROM PANCAKE HOUSE. So register now and check out WinilaCity.com. If you want to know more HOW IT WORKS then click here.